The Vikings will play Union next week, looking for the first state football championship in school history. 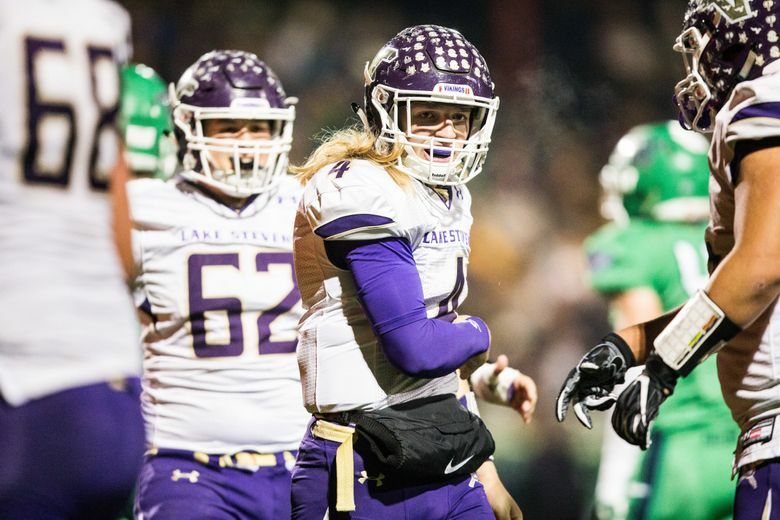 The Lake Stevens football team had heard all season about how good the Woodinville defense was. The Vikings felt a little disrespected and wanted to show they were also a force to be reckoned with. 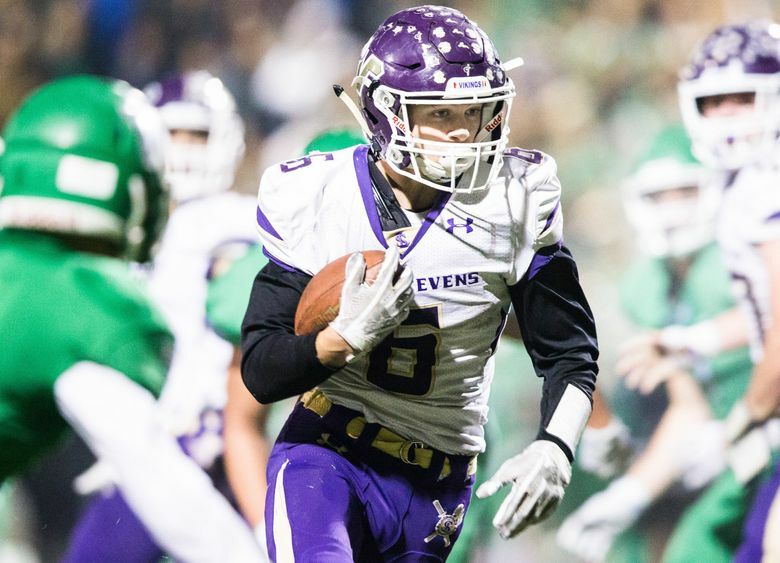 Lake Stevens did just that, as the Vikings forced three turnovers and held the Falcons’ offense to just two scores as third-seeded Lake Stevens topped No. 2 Woodinville 28-14 Saturday night in a Class 4A state semifinal game at Pop Keeney Stadium in Bothell. Lake Stevens (13-0) will face No. 1 Union (13-0) next Saturday at the Tacoma Dome in its first trip to the Class 4A state championship game since 1994. The Vikings have never won a state championship. It was strength versus strength in the matchup. The Vikings’ offense averaged 50 points per game and tallied 45 points or more in each of its three previous playoff games. Meanwhile, Woodinville’s “Dark Side” defense had allowed just 12 points per game and had 19 interceptions. 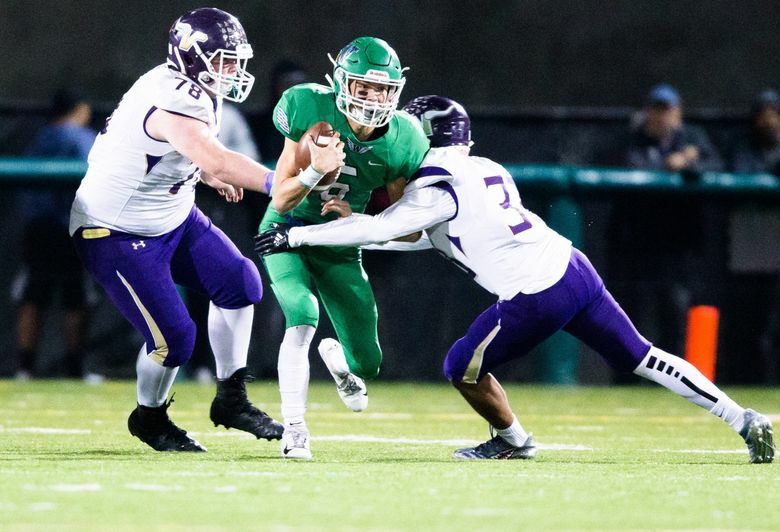 The Falcons (11-2) added another interception to their season total, but Lake Stevens junior Joe Gonzales intercepted Woodinville’s Noah Stifle twice, and the Vikings recovered a fumble to help them pull ahead in the defensive battle. 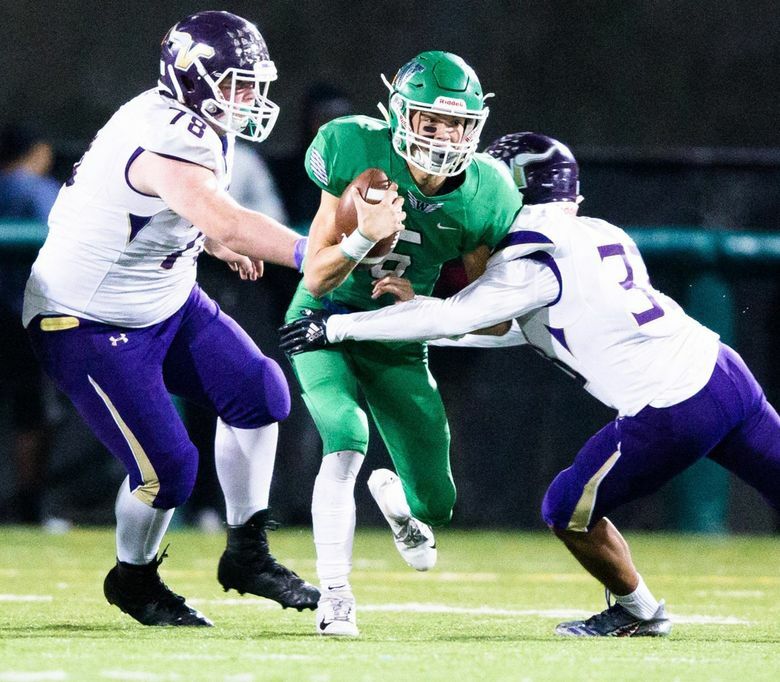 Woodinville’s defense uncharacteristically gave up a big play on a third-and-goal from the 45-yard line as Lake Stevens quarterback Tre Long found a wide-open Ian Hanson for a big touchdown to put Lake Stevens back on top 20-14 early in the fourth quarter. The Vikings wouldn’t trail again, adding a 9-yard score on a run by Dallas Landeros in the game’s closing minutes. Lake Stevens finished with 341 yards of offense. Long was 12 of 21 for 120 yards, the score and an interception and 14 carries for 59 yards rushing. Landeros added 111 yards on 18 carries. Senior Nolan Downs led the Falcons’ offense with 22 carries for 134 yards. The first half was a defensive battle with both sides failing to register a first down until a 24-yard run by Downs with 1:02 left in the first quarter. 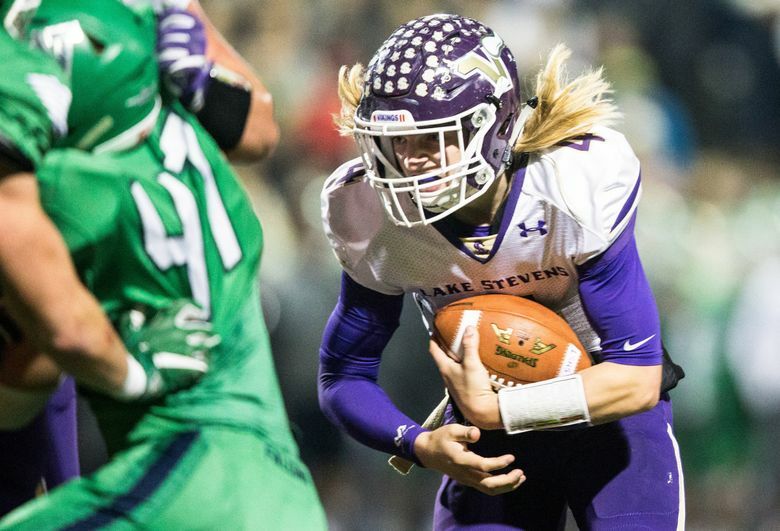 Lake Stevens moved the chains for the first time on a 61-yard scoring drive midway through the second quarter, which resulted in a 1-yard touchdown dive by Long. 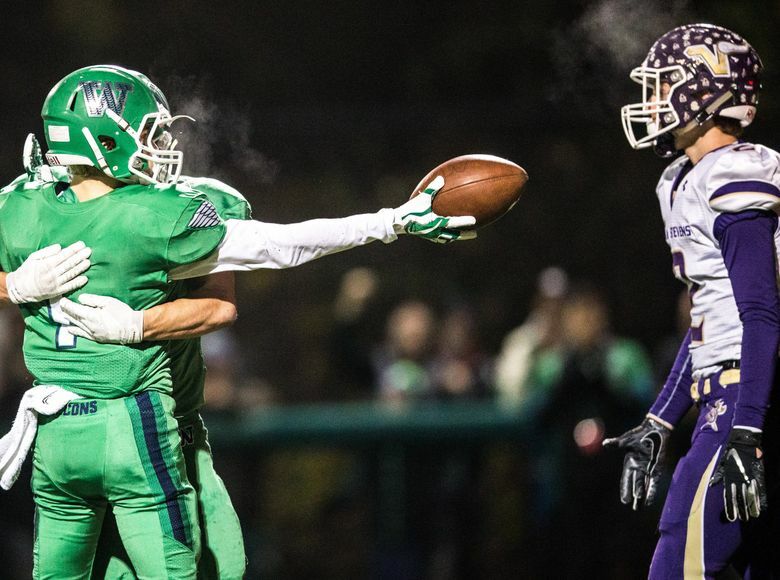 Woodinville, which finished second in state last year, countered with a scoring drive of its own, capped by a 13-yard touchdown reception by Cage Schenck that tied the score in the final minute of the second quarter.